"Don't live to work, work to live." Hey Rookie Investors...this show is for you. 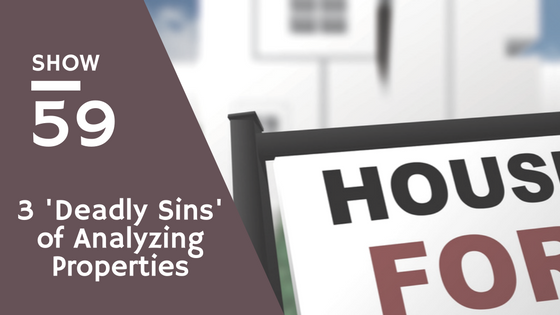 In show 59, we break down the deadliest sins that rookie investors make when it comes to analyzing property. We know because we've even committed some of these sins and learned through trial and error how to avoid them. When you're just getting started with investing in rental property, there are a lot of things that you have to learn and it can be extremely overwhelming. In a lot of cases, you may overlook little things here and there just because of the lack of time to dedicate to making sure you "dot your i's and cross your t's". 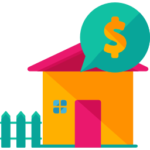 We share with you why you need to spend time researching the rental market you want to invest in, even if it is the town you live in. Looking at the market and community as an investor is a little bit different than from someone who owns a home and you have to make sure that the numbers work. In addition, we talk about the importance of "trusting but verifying" numbers related to deals. Don't believe everything the you see. Ask for documentation to verify the numbers related to a deal: rental incomes, expenses, taxes, insurance, etc.